But companies that discover employee malfeasance would be better off calling in law enforcement, and doing so as quickly as possible, say fraud experts. However, fraud cases that are referred to law enforcement are often prosecuted very successfully, he said. Moreover, criminal prosecutions coupled with civil lawsuits very often yield positive results for organizations. Tracy Wilkison, deputy chief in the U.S. Attorney’s Cyber and Intellectual Property Crimes section in Los Angeles, said that she understands why many organizations do not report internal fraud and other crimes, but not doing so can hurt them. A preservation request can greatly benefit a prosecution. Any information on Facebook or other social media outlets about a suspect needs to be preserved, particularly if a suspect brags about his or her crimes, she said. “Save everything and be patient, because it can take a while for us to investigate and for the case to proceed, but we try to get results,” Wilkison said. 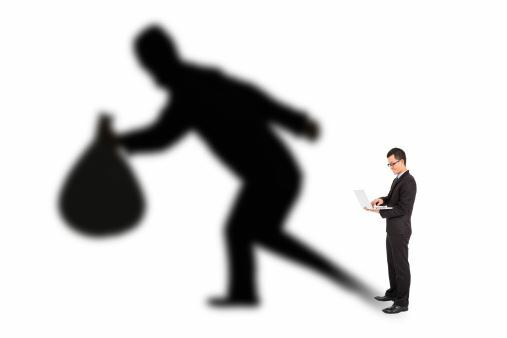 Many organizations prefer to first solicit a private-sector company to investigate suspected internal fraud, said Katya Hirose, director, global risk and investigations practice at FTI Consulting in Baltimore. Private investigators typically can be more flexible and act more quickly than law enforcement, particularly if incidents occur during off hours on the weekends, but many organizations may have budget constraints that can limit the investigation, Hirose said. Indeed, oftentimes investigations are taken out of the hands of private investigators midway through and handed over to law enforcement. FTI Consulting prefers to handle cases that it can maintain control from start to finish, with the presumption that the cases would ultimately go to trial — even if the firm ends up working hand in hand with law enforcement, Hirose said. Sometimes private investigators don’t learn of all of an organization’s goals and politics until the decision is made later on whether or not to prosecute, Hirose said. I have the proof of one company , wherein fraud in accounts , illegal payment of dividend , out of capital, never reported in legal language over last 140 years from now??!!! accounting standards completely violated , Reported by Shareholder and not action for more than 20 years in India. Further to above comments , I have complete prooof of documentary evidences where it can be proved that the profit shown was illegal and the same Auditor [played jugular in accounts and in Tax Audit Report the same income were excluded as Taxable in Tax Audit report. In Published account the same income was provided with as Distributable profit???? I found multiple instances of fraud at an International bank I worked for, who was already under investigation and had been fined. I thought I was saving them from more scrutiny, but they obviously hadn’t learned the first time and fired me. Even though it was partially my job to find wrong doing. Figure that one out.